Three time LPGA Champion and World Golf Hall of Fame inductee, Nancy Lopez, is a cherished Albany Georgia resident. 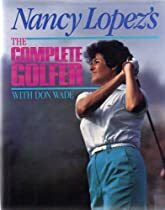 Ms. Lopez, whose professional golf career began in 1977, is the only woman to win the following golf honors in the same year: 1978 LPGA Rookie of the Year, 1978 Player of the Year and 1978 Vare Trophy winner. During her distinguished career, she won 48 LPGA tour events. Ms. Lopez is married to retired professional baseball player and Albany Georgia native, Ray Knight. Ms. Lopez is the founder of Nancy Lopez Golf, a maker of women's golf equipment and apparel. Nancy Lopez Golf products include the Nancy Lopez Signature Series driver, which has been designed to create optimum lauch. Each year, Ms. Lopez hosts the Lopez Golf Classic here in Albany, which raises funds for Albany Community Hospice. This event is held in conjunction with the Phoebe Foundation. In 2008, Lopez Golf Classic became a qualifying tournament for the Mercedes-Benz National Tournament. Ms. Lopez also hosts an annual Junior Golf Classic at First Tee of Albany. Hopeful Girls, Troubled Boys: Race and Gender Disparity in Urban Education by Nancy Lopez is a study of Carribean youth in New York City to help explain how and why schools and cities are failing boys of color. It available at Southwest Georgia Bookstore.